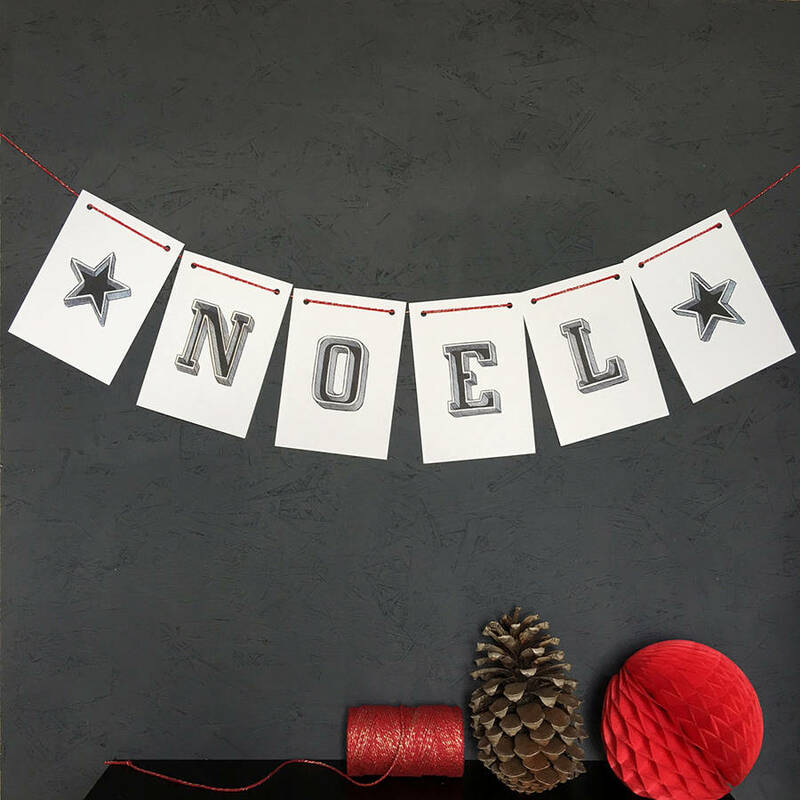 Christmas Bunting with lovely hand drawn ‘NOEL’ message. Perfect decoration for the seasonal touch. Having a party? or Just want to add that christmas feeling. Noel, french for Christmas. 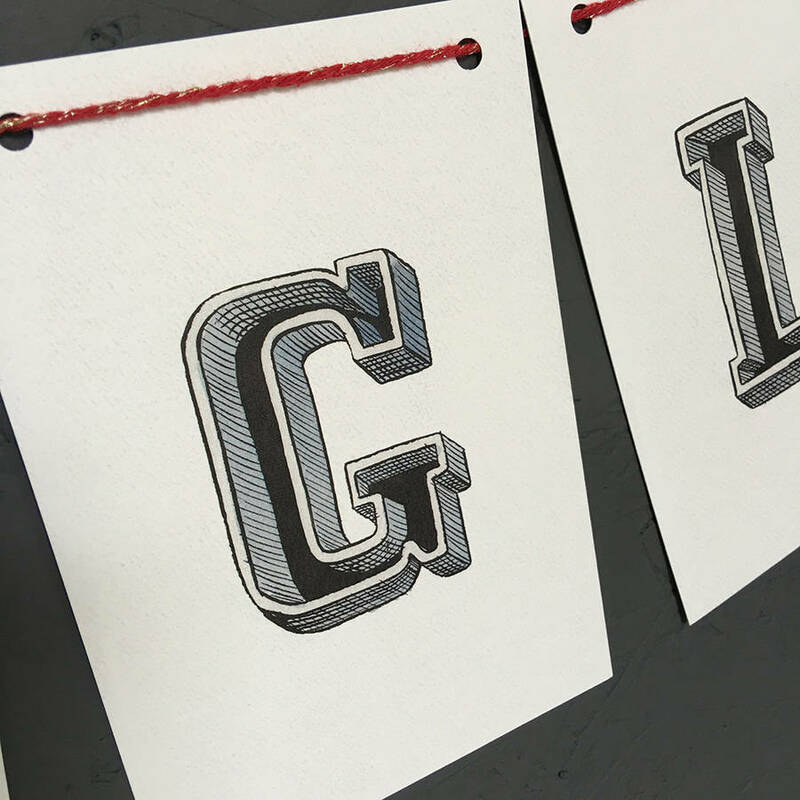 For indoor use only as it’s made of paper, ok outdoors as long as it’s dry. Comes with 5 metres of string, ready to hang, choose from a selection of jolly colours. 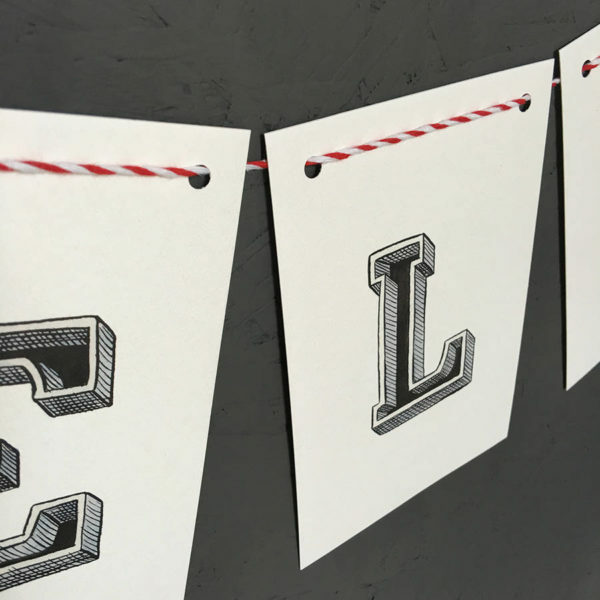 This stylish, festive bunting would brighten up any home during the festive season. The bunting reads NOEL with a choice of festive string. If you’d like your own personalised festive message, see our other listing for bespoke bunting.